Email Responsibly Email Services Do you need to pay for Email Services as a Business? Do you need to pay for Email Services as a Business? Running a business requires you to make yourself available to anyone who might contact you. They may try to contact you through online methods first including email and contact forms found on your website. If you do not have proper email services in place it will be impossible for someone to truly trust in your website and business. However, there is always a question of whether you should pay for these services or if it is a waste of money. The following is going to look at some advantages and tools paying for email services might provide you. There are plenty of free email services out there like Google, Yahoo, and AOL. They are fairly standard in what they offer, although there are many strides of late in make personal email services better. There are even apps to join all email addresses into one so you can search through and save/delete whatever you want. Most free email options will not include auto responders for anything other than vacations. It makes it difficult to conduct business without an auto responder. There are times when you cannot respond as soon as an email comes in. You want to have an auto response message that conveys proper details on when the person can hope to see a communiqué from you. Email forwarding is not something all free email accounts offer either. There are limits on the amount of storage space too. For example Gmail offers 15GB of storage. You might need over 200GB if your website and business suddenly goes viral. Spending money in business can actually be very useful as a tax deduction. You should not be afraid to have a little budget for your email needs; especially, since you can spend $5 per month for added benefits. Of course those added benefits need to help. For example are video and voice calls really helpful to your company? Do you need an email that offers easy to create project sites? Maybed you just want to get an email tool that ensures proper auto response, message forwarding, and something that can be used by all employees in your company. Whether you go for an expensive service or not, you have to look at your email services as part of your marketing system. 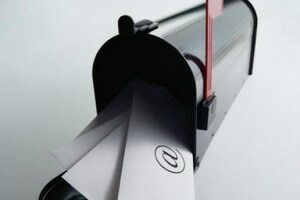 Your emails are going to be sent out with newsletters, coupons, and other information that is helpful to the client. It doesn’t matter if you are answering a question or sending out a sales letter. The end result is the same. If the email sent by the client never gets to you—you will not respond. This is poor business. It is equally poor business management if you respond to all emails, but you cannot send out bulk emails correctly. What if you had to re-type every email address or the message you want to send because you are limited on the number of people you can send to at once? Worse, what if you received an opt-out email from the client, but this did not change automatically in the system. You would spend hours just on email for your business instead of the really important selling of products or services. You could hire an employee full time just to deal with email marketing and email content, but this might not be in your budget. These are just a few suggestions on why you might want to research the email system you use before you use just any email on your website. It won’t matter if you have the proper email and you test it to make sure it is working, if you cannot manage your email services appropriately. Take some time to think about what you could use for email tools. You probably already have a mental list in your mind on what you’d love to change in your current email system.